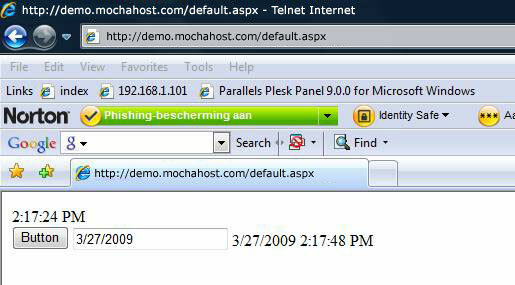 Howto publish an AJAX enabled, with the AJAXControltoolkit, web application with Visual Studio 2008 on your Mochahost hosting server. 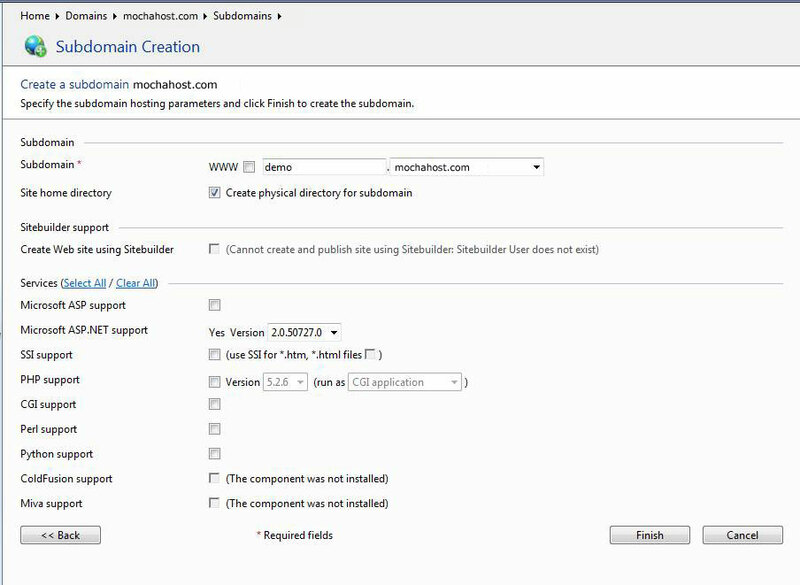 c. Select Subdomain on subfolder if you want to create a subdomain on a subfolder of your maindomain. e. Attention : if you remove files from your maindomain don�t delete or remove all the subfolders. One of them will be this subdomain ! 2. 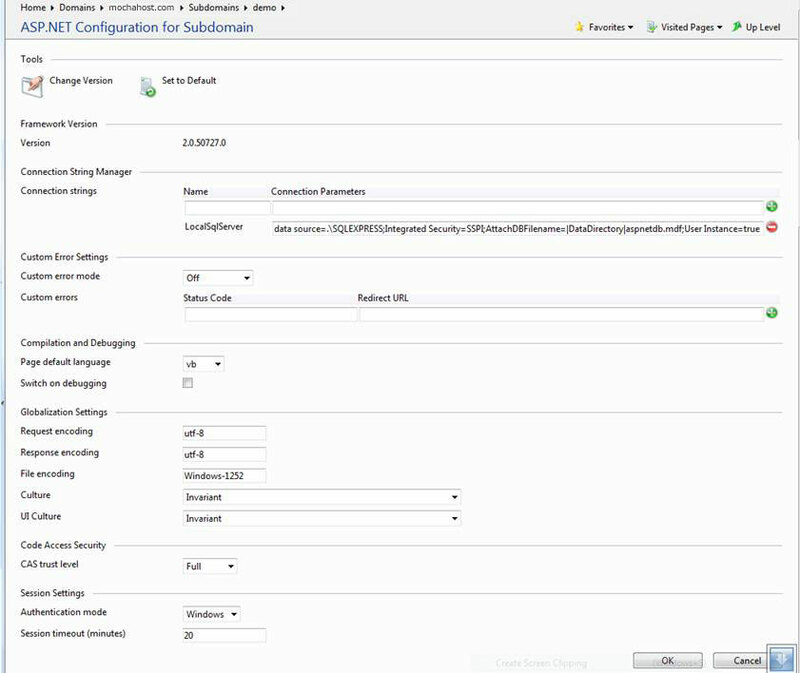 Check if ASP.NET 2.0 is enabled on your virtual directory or new subdomain. 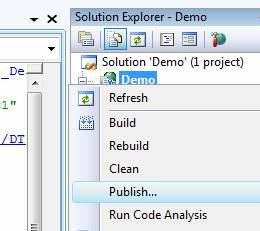 Attention : if you don�t select the ASP.NET 2.0 version a wrong web.config file will be generated. I am not sure if the web.config file will be changed if you change the ASP.NET version afterwards ! You can manually change the web.config file afterwards. 3. Make a copy of your subdomain or virtual web directory and files so you have the automatically generated web.config. c. Here you can define different properties. 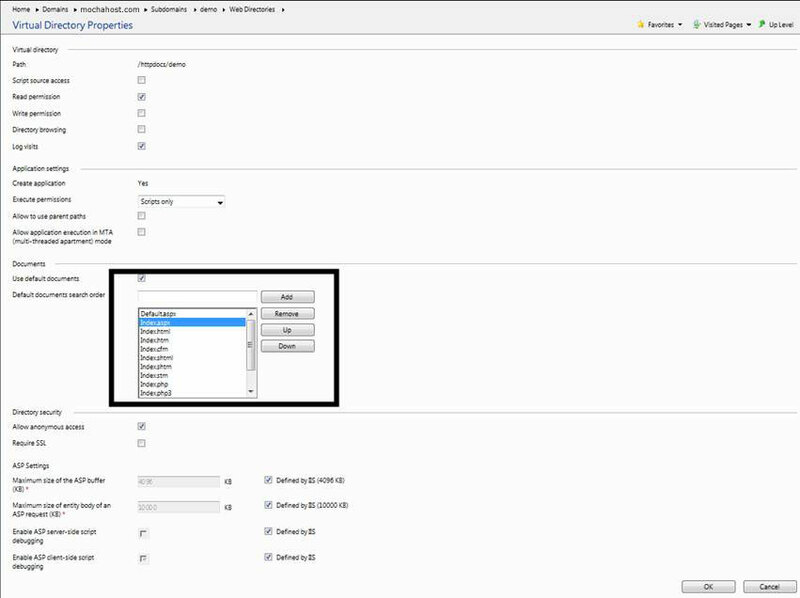 To select the default.aspx and index.aspx as first page to load move the pages to the top. 5. 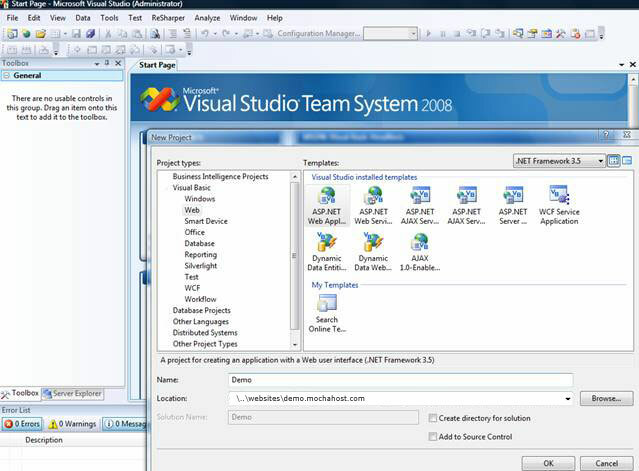 Open Visual Studio 2008 and create a new webapplication. 6. Copy the web.config file over the new web.config file or merge it. 9. 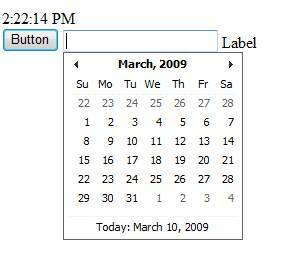 The demo page uses two labels, a button, an updatepanel and a textbox with a datetimecontrolextender. 10. 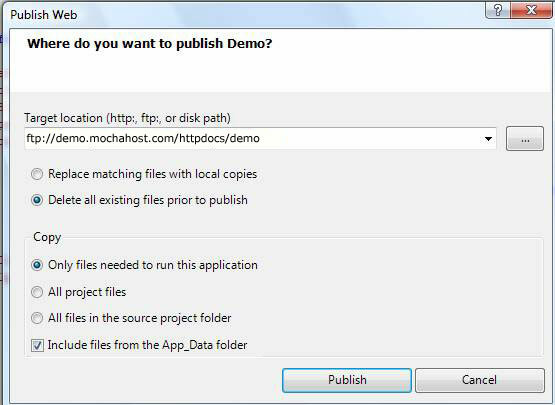 Publishing the project to your subdomain on the Mochahost server. Click on the publish button (right click on the project and click on publish) and test your application on the server.